Regional leaders attending the World Economic Forum’s Manama Meeting on “the Arab World in the Fourth Industrial Revolution (4IR), in Bahrain recently agreed that local innovation remains a point of vulnerability for GCC economies, while exploring economic forces that can both help and hinder GCC-based enterprises in realising the full potential of evolving markets. 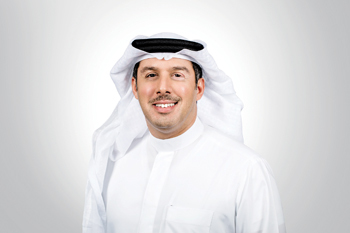 In his address at the forum, Khalid Al Rumaihi, chief executive, Bahrain Economic Development Board, also the chairman of the World Economic Forum’s Regional Business Council on the Middle East and North Africa, said a near-term strategy focused on local innovation was essential for long-term economic growth for the Arab World. “The GCC represents one of the most digitally connected geographies in the world. For example, mobile phone subscriptions have outpaced population statistics – by 1.3 times in Kuwait and as much as 2.1 times in Bahrain and the UAE. Data revealed during the WEF Manama Meeting also pointed to the creation of six million technology and logistics jobs worldwide, many of them based in the Gulf, as global markets further digitize,” he said. The “digitisation of the Gulf consumer” has driven such trends that are reshaping our society. But while consumers in the Arab World have exhibited hyper-adoption of connected technologies, locally developed innovation has yet to accelerate at an equivalent pace, he added. “In short, the GCC continues to navigate the early stages of a transition from being a recipient of technological advancement to leading as a source of such. For instance, here in Bahrain, we have boldly adopted a government-wide Cloud First Policy, which mandates that public agencies vet cloud-based technology options ahead of others. Such a model will ultimately drive efficiency, integration and consumer convenience across the Kingdom. “This also enables us in the GCC to procure mature solutions globally, learn from them, and transfer the knowledge locally,” Al Rumaihi observed. Similarly, the manufacturing sector generates the lion’s share of R&D investment globally. Yet such innovation-inducing investment still lags among GCC-based manufacturing businesses, relatively. This is likely to change in the coming years. 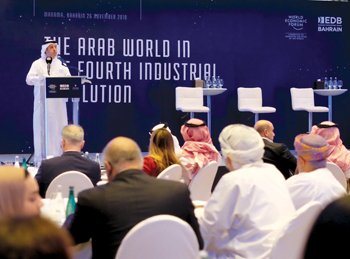 Ease of data access, analysis and application to flexible business models can intensify how manufacturing businesses in Mena develop locally relevant models that integrate smart supply chains and efficient automation, he said. “There is every reason to believe that the forces driving the shift towards a 4IR can simultaneously create new pathways to innovation for business leaders and governments across the GCC. However, the region must be both intentional and strategic in how it navigates these forces to create value for our society; Bahrain can serve as a helpful model,” he noted. Openness to cross-border trade and information transfers: The GCC is one of the most open geographies in the global trading system and can maximise its economic potential by safeguarding this openness. In manufacturing across the region, for instance, Industry 4.0 will open new avenues further down the value chain. On the digital side, cloud-based traffic in Mena is set to grow exponentially faster than any other region in the world through 2021. Thus, development of secure, scalable cloud solutions across the GCC is paramount to efficient, productive operations in public and private sectors sooner than we might think. Regulatory reforms: Bahrain has a strong track record of reform and deregulation, which has attracted industry-leading companies like Amazon Web Services (AWS) to invest further in our country. Minimisation of operational costs and tax burdens for ICT firms interested in establishing a foothold in the Kingdom remains a cornerstone of this long-term strategy. A recent KPMG Cost of Doing Business Report noted that ICT businesses in Bahrain benefit from 15-20 per cent less annual operating costs compared to GCC neighbours. Digital infrastructure investment: We continue to actively invest in infrastructure to increase readiness for a digital economy. From new hyperscale data centres that will boost cloud adoption for business, to the roll out of a nationwide 5G network and an additional 60,000 km of fibre-optic cable, the Kingdom is an ideal home for growth industries, like autonomous vehicles and IoT. Capitalising on talent: With nearly 60% of the population under the age of 30, we know our younger generations are the key to capturing our full economic potential. Heavy investments in specialised training programmes in emerging industries have advanced readiness among our young, tech-savvy population. Tamkeen, the Kingdom’s Labour Fund, provides businesses with training, technical and financial support, and helps to bring those in need of experience into the workplace. Our youth have proven their readiness through record response rates to AWS’ Training and Certification Programme in Bahrain. Within the scheme’s first few months, sign-up rates exceeded both China and India with over 2,300 registering. “The 4IR entails a slew of opportunities for locally relevant innovation and adaptation. As much as it may have been the GCC consumer that drove the initial triumphs of digitisation, GCC businesses that focus on innovating for the Arab World will enable the coming regional economic shift towards a productivity-led model. In my view, a focus on locally driven innovation can be a force to drive long-term prosperity across the GCC,” he concluded.